f) You understand and agree to adhere to the other policies posted for the SOI Toronto Centres Web site, including any future additions and modifications (current Web site policies are given below). In addition, we are developing (and will continue to refine) a set of Policies for the website that will help guide you and our administrators in ensuring this website is useful to all its members and accomplishes the goals for which it was created. The policies for this website are still being developed, and are likely to be often subject to at least minor revision during the first few months after the website is opened to the public (March 1st, 2009). This will give our community the opportunity to help us shape these policies. Our policies will take as their primary guide the Sufi concept of Adab, which encompasses all aspects of respectful behavior and more. In the meantime, the statements below will clarify our understanding of how we hope this website and its community will evolve, which will also guide our development of policies. Website members are welcome to ask questions, make suggestions, and discuss these policies and their development by posting to the Questions About This Website discussion forum. Both members and non-members can also ask questions privately by using our contact form. 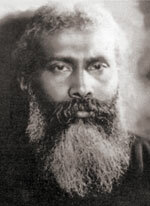 Spread the Sufi Message of Pir-O-Murshid Hazrat Inayat Khan. Provide a mechanism for informing people of the events and programs offered by the Toronto area SOI centres. Enable discussion and other communication between all people interested in Sufism and spiritual development as promoted by the Sufi Order International. Otherwise serve our Toronto and website community in whatever ways seem useful, in support of the mission of the Sufi Order International. The leaders of the SOI centres in the Toronto area. The general community of SOI initiates and other SOI associates in the Toronto area. Respect, compassion, patience and understanding will be our watchwords and should guide the behavior of everyone associated with this website. We will not use any information you give to us for any purposes other than acheiving the specific mission of this website and the SOI, and will not distribute it to any third parties. For members who choose to be anonymous, we will do our best to protect their anonymity (e.g. by not revealing any information from their profile marked "private"), but cannot guarentee that private information will never be breached, by computer hackers or unknown bugs in our website software for instance. Members concerned about anonymity should register using an email address that cannot be traced back to them, and consider the use of other tools such as an anonymizer or anonymous remailer. Our copyright policy is not yet finalized, but as a general website policy we expect that all material created and posted by the website administrators will be either public domain or under the Creative Commons with Attribution license. If we have guest authors contributing specifically solicited articles, copyright licensing for that material may be either the same as the general website policy, or under some more restrictive license as determined by the author and website administrators for any particular case. Each member of this website is individually and solely responsible for ensuring that he or she has all the necessary rights, including copyright, to publish the material that she or he posts here. Although we aim to have this website primarily reflect and highlight the Sufi path, we recognize that there is a wide variety of diverse activities and events that are useful for people travelling the Sufi Path. For an individual committed to the Sufi path, any activity that helps one along his or her personal spiritual path is in a way a Sufi activity. Nonetheless, in order to avoid flooding people with the massive array of non-Sufi events and activities available in Toronto, we have devised some rules and guidelines to help determine what will be announced at this website, and where and how. The Calendar that is displayed when people select the "Calendar" link in the left sidebar Navigation menu, will be restricted to showing only events sponsored by the Sufi Order and its centres, or other Inyati orders. This is the same calendar shown in small by default in the right sidebar. We may in the future add an additional "All Events" calendar. Only website administrators can add items to the calendar(s). The News listing, accessed from the Navigation menu or the optional right sidebar block, will be used for general announcements, announcements of SOI events and activities, and also some items in addition to those on the calendar at the discretion of the website administrators. For instance, interfaith events and religious community outreach events may be listed, events sponsored by other Sufi orders, as well as other events and activities with clear relevance to our community members and their spiritual paths. Announcements of commercial events, including workshops for which there is a substantial fee, will only occasionally be posted. The administrators are going to have to develop and use their judgement, as we see what kinds of events people might want to promote here. Only website administrators can post items to the News listing. The Announcements and Events discussion forum is open to posting by any member of this website. If you have an event to promote, that is at least recognizably related to spiritual development, then you can write to the Announcements and Events forum to let our community know about it. That does not mean that any kind of advertising is necessarily OK, but we will aim to be very liberal in what is considered acceptable. Postings that are clearly not related to spiritual development, or repetitive postings about the same event or item, will be removed by the administrators, or moved to the Chat discussion forum. Again, the administrators will have to develop and use their judgement, and we expect that patience and understanding will shown by everyone involved, as we figure out as a community what we would like this website to become. Lively discussion on that subject is encouraged! This page was last revised 2009-Mar-19. It is very difficult to evolve oneself and at the same time keep in tune with the unevolved; it is like being drawn from above and pulled from below.